Compression is perhaps one of the most misunderstood process in recording and mixing. Although it is an integral part in audio engineering, the ability to hear compression and wield it effectively is a skill that can take years to learn. Given the simple settings of attack, release, ratio and threshold, an enormous number of potential combinations exist. Multiply this by knowing that no singular approach to compression will work in every situation with every instrument, or with every compressor unit; what's easy to end up with is a lot of confusion. Although compression was originally used as a tool to solve purely technical issues, it also became valuable for making sounds more powerful. Compression can bring tonal balance, focus, clarity and breathe life into a dead sound. It can also completely flatten out a dynamic performance, take away depth, character and leave a sound thin, pinched and lifeless. So how do you know whether you’ve gone too far, or not far enough? Both definitions get to the root of something important: compression makes things—like sound waves—smaller and denser. Density is important because it enables the sound to project more forcefully and efficiently through a speaker system. That forcefulness translates to better localization cues, which ultimately translates to better imaging. The property of “smallness” is also important because this creates more focused sounds, better separation of elements in a mix, and leaves the necessary space for the reverb and effects to be heard without clouding the mix. Sounds simple, right? Well it gets a bit more complicated due to the many types of compressors, and how you utilize the attack, release and ratio settings. Given that, a proper balance of compression along with good frequency balancing, level balancing and quality effects can yield a mix that sounds dynamic, has depth of field and translates well to a wide range of speaker systems. Conversely, an overly compressed mix will sound thin, flat and annoying. An under-compressed mix can lack definition, sound cluttered and lack dynamic movement. 2. What is your compression profile? Generally, the process of learning how to effectively use compression will lead you down one of two paths. Some will compress the crap out of everything, others will use too little compression to achieve light-handed effective results. Somewhere in the middle is a balance that will preserve the integrity of the natural dynamics of the music while providing the necessary focus and imaging quality. 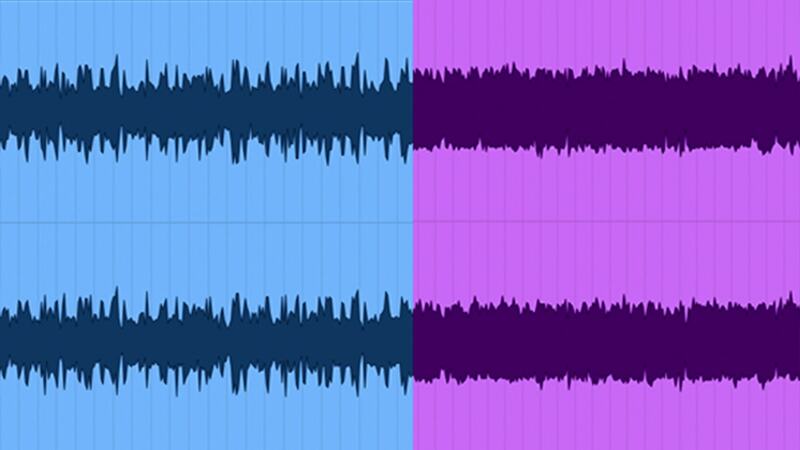 The most common characteristic of an over-compressed mix is the lack of depth and size. Depth is a characteristic of dynamic movement: whether a performance dynamic, a programmed dynamic, or a transient-to-sustain dynamic. The lack of dynamic movement across too many tracks will result in a mix that becomes pinched and annoying. The ultimate 'pinched' sound and lack of definition comes mainly from the low frequencies, since they will often suffer from over-compression more than higher frequencies. The propagation of lower frequencies requires more dynamic movement since they are the carrier frequencies for the sustain energy of most sounds, and the foundation from which high frequencies project. Since lower frequencies are already, by nature, less dynamic, using the transient energy to trigger too much compression of the sustain signal will naturally lessen the perceived power in that frequency range. A loud sound won't sound powerful unless there's some contrasting energy. The most common characteristic of an under-compressed mix is a lack of definition and separation of the individual elements in a mix. The more elements that exist in your mix, the harder it will be to separate them. Compression can help to focus each performance so that the dynamic is felt, but within a tighter dynamic range. If the dynamic range is too loose, notes will get lost in the wash of the other sounds. A good warning sign of under-compression in a mix is that it only sounds good when you turn the speakers up loud. Turning up the volume of your speakers will introduce mechanical driver compression and acoustic compression in your listening space to replace what is missing in the mix. Turn the volume down and notice how much the mix balances begin to collapse. Take note of the sounds that disappear most quickly and keep in mind the fact that lower frequencies will disappear more quickly at lower volumes. To begin the process of balancing the compression in your mix effectively, you will need to understand some compression basics. Each and every compressor on every track, stem or mix buss must serve a specific function in the mix. The function of a compressor can be to balance overall performance dynamic, pump and breathe life into a sound, solidify a sound, or be used as a special effect. Transparent compression: Transparent compression is used to even out an overall performance dynamic, and is meant to be ‘felt’ not heard. Generally, the attack and release times are on the slower side with a low threshold and a very light ratio. This allows the compression to work on the RMS energy, which embodies our perception of loudness. The amount of gain reduction should be consistent. Groove-based compression: The more common term used is “pump and breathe” compression, but the important difference is that the release time is scaled to musical values (1/4 note, 1/8 note or 1/16 note). This technique pumps the release to the musical timing of the song, thus having the effect of accentuating rhythmic movement. The attack time can be fast or slow depending on how much of the transient you want to preserve. Solidifying compression: The purpose of this style of solidifying compression is to bring density and clarity to a sound or mix. Vintage broadcast limiters like the Fairchild 670, Teletronix LA2A, Neve 2254, (modeled as PuigChild Compressor, CLA-2A and V-Comp) that have multistage release characteristics are perfect for this technique. Most will have an attack time of about 1 ms, with 2-3 stages of release. The release stages typically have a quick initial recovery followed by a long secondary recovery – which may be as long as 10-20 seconds! The combination of harmonic distortion and the non-linear characteristics of the components that create the compression make them extremely valuable to the most important tracks in your mix. Compression for effect: Sometimes you want the compression to be very audible, like the classic pumping and breathing effect on big rock drums. Sometimes it’s just a matter of overdriving a compressor, preamp or tape emulation to distortion. Yes, distortion is a form of compression. Extreme compression! Anytime you try to drive more level into a device than it can handle, you are effectively limiting the dynamic range. The numerical settings of attack, release and ratio are always relative to the source material. Generally speaking, faster settings work better with rhythmically busier sounds and slower settings work better with more sustaining sounds. The ratio will determine how transparent or aggressive the compression will be applied. The following guideline should help to give you some good starting points for numbers, but always remember that your ear, not the number is the best measure for the correct settings. The attack time sets the front-back position for a sound in the depth field of a mix. Faster attack times will set a sound back in the speakers and a slower time will bring the sound more forward; this is because faster attacks shave a sound's transient, just like distant acoustic sounds lose some of their transient energy by the time the sound reaches our ears. This is particularly true with drums, percussion and rhythm based performances. Vary the timings with different instruments to create more depth in your mix. Though keeping the same attack setting for all the tracks of drum kit, for example, is also a great way to make the individual elements glue together like a single instrument. The release timing determines the amount of movement as the gain reduction recovers. Fast recovery times will add dynamic presence to the sound. Medium recovery times are usually best when set to musical note values so that the recovery shape follows the tempo of the music. This is a powerful way to bring life to a dead sound or mix. For drums, keep the release settings the same for each element and the whole kit will become a groove machine. Use long release times to balance and stabilize sounds that are inconsistent dynamically. The ratio setting is a powerful tool for balancing the amount of gain reduction as well as shaping the tonal character of any sound. Use light ratios for transparent compression that lightly evens out a performance. Medium ratios often work well with rhythm-based medium release settings. Remember, the ratio setting will add more warmth as the ratio increases. Heavy ratio settings work great for sounds that are indistinct and lack density. Limiting ratios are best for effect-based compression. The effectiveness of the attack, release, and ratio settings is entirely based on the threshold. Generally speaking, the threshold should be set so only the transient triggers the compression. If the transient levels are inconsistent, set the threshold lower and adjust ratio lower to get more consistent gain reduction results. Many vintage compressors have fixed threshold settings and the input level will determine how much signal passes above threshold. The importance of the threshold setting cannot be overstated. The threshold setting primes the engine for all the remaining settings and they will only be as effective as the threshold sets them up. This is especially true for the rhythmic based compression that must trigger from the transient in order for the musically valued release time to work in time. Learning the art of compression and knowing what to listen for requires a lot of practice and detailed attention. It is important to experiment with different settings and find combinations that work. If you decide to load up a preset, take note of the settings and match them against the numbers in the chart above. See if the characteristics described in the article match what you hear in the speakers. If you decide that you want to apply heavy compression to a sound or grouping of instruments, try running a parallel compression chain instead of applying it directly to the track. This gives you the ability to have complete wet/dry control and easily balance the dynamics of the mix. It’s important to remember that historically, compressors were designed for very specific purposes. The broadcast industry used limiters with fast attack and very long release times to limit the dynamic range so that the transmission could carry a longer distance and reach a larger audience. In mastering, compressors were used to prevent the cutting lathe from driving too deep into the lacquer and potentially destroying the cutting head. In the pro audio studios, compression was used during the recording process to keep the audio signal at a consistently high level in order to limit the amount of tape hiss on playback. Although compression was a valuable tool for these purely technical issues, it also became a valuable tool for making sounds more powerful and remains one of the essential signal processors when working with audio. Do you spend a long hours making mix decisions? If you're listening for a long time, learn what ear fatigue is and how to avoid it..
Do you have any over- or under-compression tips that we missed? Let us know in the comments below.